Monday, March 26th in Lincoln. 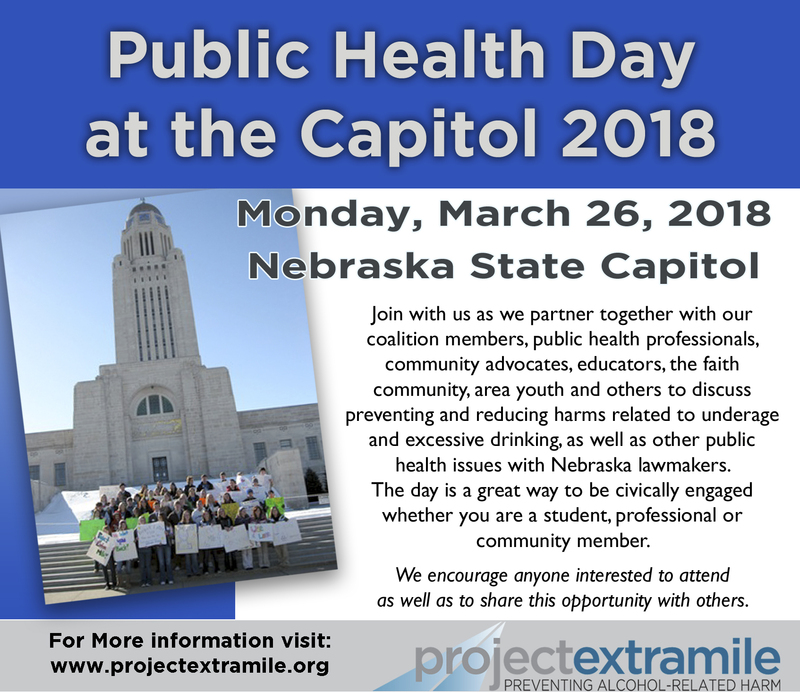 Join with us as we partner together with community coalitions; public health professionals and educators, students, the faith community and others to share the science and efforts to prevent underage and excessive drinking, as well as other public health issues in Nebraska with policymakers. Public Health Day at the Capitol is a great way to be civically engaged whether you are a student, professional or community member. Your presence on March 26th is important -- we can't do it without you! To print off the flyer for Public Health Day at the Capitol click here. The parental permission slip for students can be found here. Deadline to Register is March 16, 2018.